Episode three of The Assassination of Gianni Versace made me think about something that, inexplicably, I hadn’t consciously appraised until this point — just how good the acting is in this show. The fully-realized portrayals of the various parties had so fully lulled me into acceptance of the characters, that I didn’t even think of the skill on display. This hour, taking place roughly two months before the death of Versace (Edgar Ramiréz), focuses on another of Andrew’s (Darren Criss) victims, and the seismic ripples his crimes create for a victim’s family. The various stages of realization, grief, anger and everything else that accompanies Andrew Cunanan’s crimes are brilliantly realized by all involved. 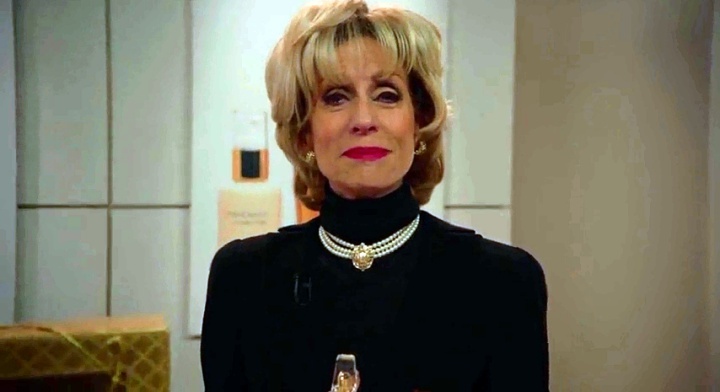 Marliyn Miglin (Judith Light) has her worst fears confirmed. We then zip back in time to see Marilyn introducing her husband at a charity luncheon, extolling the great works of Lee Miglin, the two playing the parts of perfect husband and wife. Sitting before a mirror, Marilyn removes her make-up and false eyelashes, regarding herself for a lingering moment. This episode revolves heavily around the themes of artifice and reality; the false faces we wear for strangers and sometimes those close to us — and underneath, our more hidden selves. As Marilyn is preparing for bed, Andrew calls Lee and tells him he will be in Chicago for a couple of days. Lee quietly closes his office door and makes a date. When they lie together in bed, Lee and Marilyn clasp hands as they fall asleep. They are two people who really do love each other, but also hold secrets that outsiders would never suspect, or probably understand. Lee, waiting to see Marilyn off for her infomercial appointment we see at the start of the episode, slumps to the stairs and shows he is tired and somewhat discontent with his work. Marilyn asks if he is in one of his ”blue moods”. She is not callous in asking, but has the air of someone who is perhaps not always sure how to face up to her husband’s depressive moods. Marilyn gone, Andrew Cunanan arrives and again we are privy to accompanying someone in extreme danger and their total unawareness of that fact. Lee shows Andrew his plans for what would be the tallest skyscraper in the world and Andrew is initially impressed. When Lee confides he hasn’t secured financing or broken ground yet, Andrew changes. He takes the chance to belittle Lee for trying to impress him, for showing him something grand that may never even exist — the exact things Andrew does to people every day. In that moment, Cunanan has a chance to belittle someone more important and successful than himself. He knows he holds the power here — he is the desirable object of Lee’s affection, and he can behave as he wants. When Andrew kisses him, Lee confides that he feels ‘alive’, he says, “I know it’s not real, Andrew. But you make it seem so real.” Miglin is someone who clearly exercises control in his life and business, accruing success and great wealth. But underlying the whole, brilliant portrayal is a lingering sadness. He is a loving husband and father, but he is also someone else. And he cannot be that someone else as part of his everyday life, and so he is massively conflicted and riddled with guilt. He knows he is committing infidelity, but these moments with Andrew are an explosion of colour in what has become a rote performance of life. As an older, respected businessman, Lee must find avenues of release in using the services of men, putting himself in potential danger. In Andrew, he has come across someone terribly unsafe. Moving to the garage, Cunanan ensures that Lee cannot fight back ,and takes the time to belittle him again before killing him. 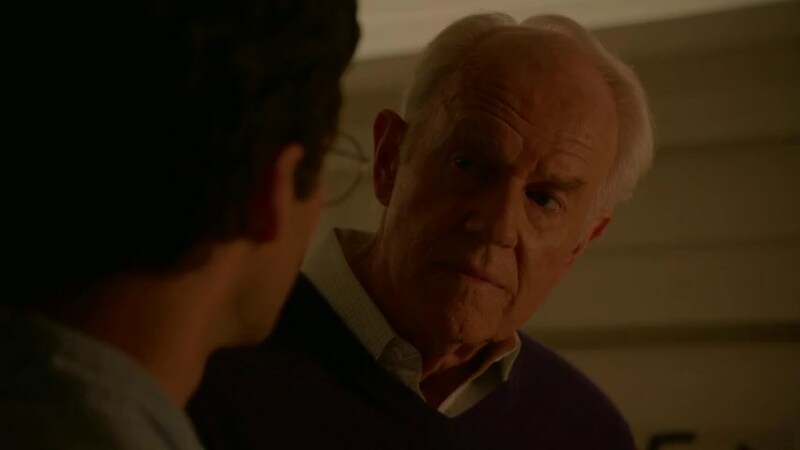 As we have seen in prior episodes, this is one of Andrew’s main motivations — bringing down those more accomplished than he and attempting to destroy them totally in life and death. He takes the time to rip and burn Lee’s plans for his skyscraper, bringing his victim’s perceived abasement and destruction to fulfillment. Marilyn, now a widow and able to mobilize the upper echelons of the police due to her family’s social status, goes into a mode of control. She is similar to Donatella Versace (Penélope Cruz) in this respect — women who feel they must protect and preserve the legacies of men close to them, without allowing salacious details to become public. Marilyn seems cold, but only in the sense that she is hyper-alert to what she needs to do. She is fiercely protective of Lee and her family and, by extension, public perception. Because of this, she will not allow herself to crumble under the grief, she will present a strong public face and, if that means appearing uncaring, then so be it. When she does finally lose control and weep for her lost husband, it comes from a place of memory. She recounts to a family lawyer the adventures she and Lee and shared — hot air balloon rides, becoming lost in a desert and Lee becoming her saviour — and through her tears, cries, “I loved him, I loved him very much… There, is that better? Am I a real wife now?” Marilyn shows that love can take many forms, can tolerate and accommodate much, can exists beyond what many assume constitutes ‘real love’ and ‘a real marriage’. Collecting herself, she tells the lawyer that this was, “… a robbery and a random killing.” Marilyn, like Donatella, now sees her duty as one of protection and mitigation, echoing Donatella’s sentiments of not allowing her beloved brother to be murdered a second time in the court of public opinion. We then cut to Andrew ditching the car he has stolen from the Miglin house and finding his way to a cemetery. There, he accosts a grounds worker, and forces him into the basement of the sepulchre. The man confides that he has a family and children and would very much like to see them again. Without hesitation, Andrew kills the man and takes his truck. Cunanan has no attachment to human life, to emotional pleas; he simply takes what he wants, a truck or a life. He knows full well what he is and the path he is on. In his twisted world, in his ongoing descent, one more murder doesn’t change a thing.